WFS Technologies (WFS, UK), has launched the Seatooth PipeLogger Thermal Insulation (TI). Designed to deliver a step reduction in the cost of monitoring process temperature of subsea pipelines and jumpers with up to 2” of thermal insulation, the Seatooth PipeLogger TI is set to revolutionise asset integrity monitoring and flow assurance. The Seatooth PipeLogger TI incorporates an RTD (Resistance Temperature Device) housed in a novel mount designed to trap heat from the insulated pipeline. Process temperature is measured without penetration of thermal insulation or pipe wall. Each system is calibrated to provide an accuracy of better than 10% and repeatability of better than 2DegC. An integrated data logger records process and seawater temperature. The Seatooth PipeLogger TI incorporates Seatooth Endure, innovative technology designed to extend the battery life of subsea wireless systems to up 15 years. Systems are depth rated to 200m or 1,000m, are compact and weigh under 5kg in seawater. They are suitable for deployment by mini-ROV operating off a rig or small vessel or by diver. Deployment and recovery is facilitated by use of diver straps or ROV clamp. An optional protection cover is available for systems buried in the seabed, under concrete blankets or under rubble. 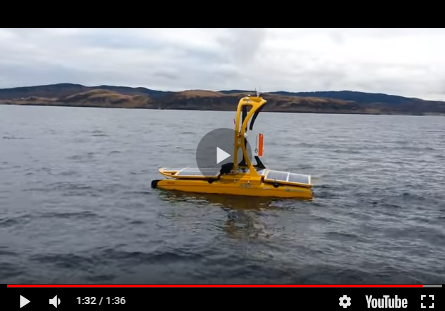 Target applications include subsea pipeline temperature profile monitoring; ipheaval buckling monitoring; replacement of broken process temperature sensors and over-temperature monitoring of flexibles.